Welcome to Brålanda Hotel & Hostel. We offer you, your family, groups and conferences affordable accommodation in a convenient location as the starting point for many wonderful activities and excursions. 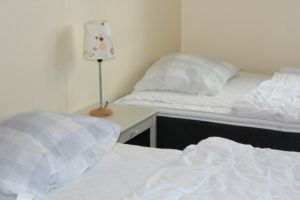 We are also perfect for a night rest on the way to and from the mountains. We welcome dogs and their owners! We have pleanty of rooms were your pet is welcome – just make sure to tell us up on reservation that you will be bringing your pet. Come to us with your whole family, your choir, soccerteam, We have in total 99 beds and will help you with what you need for your trip.